Conceived in the US as the voice of black rebellion, hip hop has disintegrated into something violent and misogynistic. However, in Northeast India, artists are going back to the roots of the genre to voice the vox populi. The term, “hip hop” has its origins in the New York and its surrounding region of the 1970’s. Known as an emerging urban culture involving fast paced rap music, intricate body bending break dance moves and a shower of colourful graffiti art, hip hop was produced by the young people of some of New York’s most neglected parts. Locales like Hell’s Kitchen and Bronx with their enormous African American population gained the reputation of using hip hop as a political tool to air their grievances. The likes of Tupac Shakur and Calvin Broadus became cultural icons in the face of anti-racism. Four decades later, hip hop in the US is associated now with misogyny and violence. Yet, it is now that the hip hop movement which has been steadily gaining popularity in the Northeast region of India since the late ‘90s has gone back to being to its roots. Topping the charts in 2017, with rappers like Prabh Deep, Divine and Hard Kaur, hip hop has consolidated its place as the king of the musical food chain in the region. A local collective movement known as, “Movement of Expression” led by Mrinal Paul known in the music circles as Moksh was formed with the idea of curating hip hop events in and around Shillong and Meghalaya. 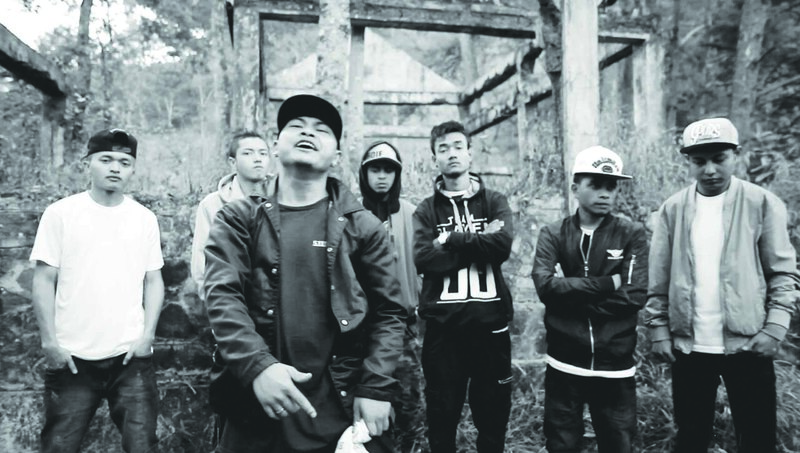 The crew started off as a four-man team featuring Meghalaya’s most diverse group of rappers from Bengali, Assamese, Nepali and Khasi descent. Moksh’s song, “Poro Ninda Poro Chorcha” delves deeper into the Bengali phrase which means, “people love talking about other people” and is a cultural critique of the reverse racism that he faces in the Northeast. Hip hop graffiti art, on the other hand, is an immensely powerful political tool in the right hands. It started in 2010, when an unknown artist drew provocative graffiti targeting Christian hypocrisy on the walls of Don Bosco Technical Institute in Shillong. The image featured Pope Benedict XVI with the message, “Arrest this man.” This was followed by the caricature of the then governor with the message, “Uranium sold here” appearing on the walls of Raj Bhavan. 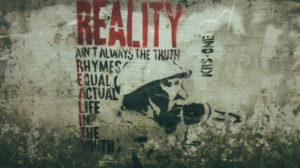 With discontent and disillusion brewing across Shillong, the rebel spirit of hip hop continues to fester in the youth.